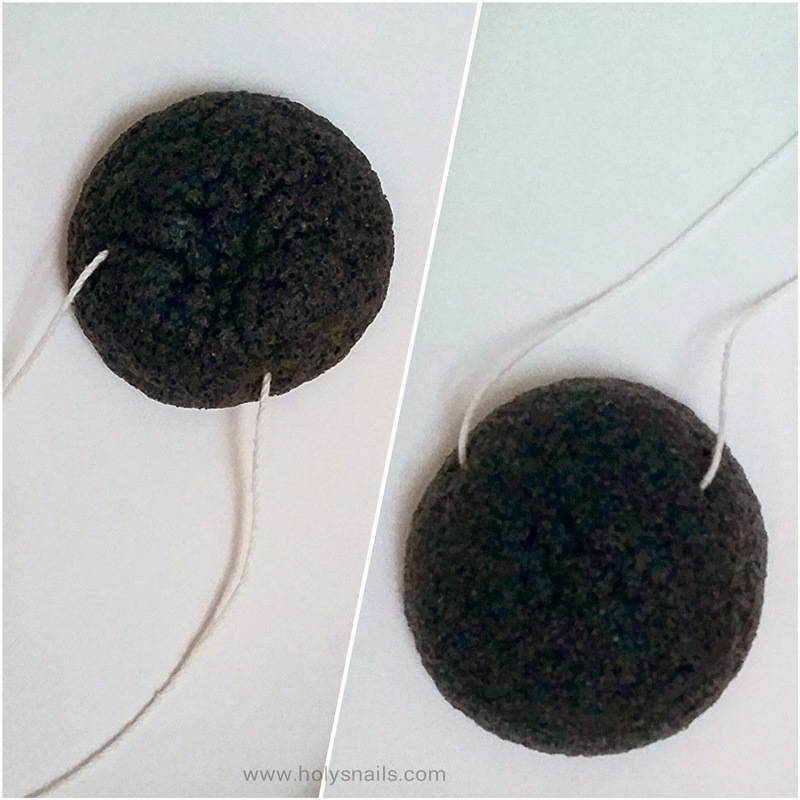 Beauty Tools Week: Konjac Sponge | Holy Snails! It's really hard to tell here, but in the left frame, the konjac is dry. 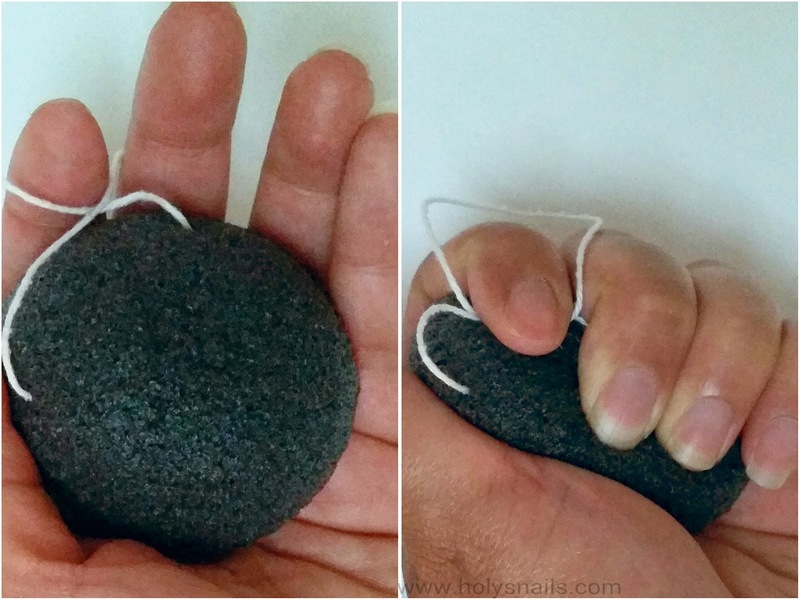 It feels kind of like a pumice stone, and you don't want to use that anywhere near your face. When it's wet (right frame), it swells up a little, and feels a lot like jelly. If you're familiar with Vietnamese desserts, it looks and feels a lot like bánh bò. I think the closest I can describe it otherwise would be like rubbing noodles on your face, but it doesn't break apart. It typically comes on a loop so you can hang it up to dry. These should be replaced every month to 3 months, depending on how beat up it gets. A good rule of thumb is if it looks dirty, or of it starts to fall apart, it's time to toss. From Youtube. Konjac or cake? These come in all different varieties. 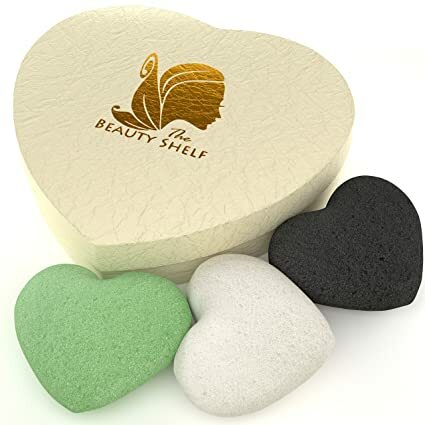 The one here has charcoal, but I've seen some with green tea, pink clay, red clay, and all other colors of the rainbow. The plain ones are white. I don't know if the different varieties actually do anything differently. For me, they haven't. These typically come in half spheres, but I've seen some teardrops, squares, and even hearts. I've seen these sold up to $20 per sponge. This is a product that's meant to be replaced every couple of months. I can't imagine paying that much. You can get them from Missha or other popular Korean brands for around $1.50-$3. I have found some at Ulta for around $5, but typically, I get mine from TJMaxx stores for around $2-3. I've gone through about half a dozen of these sponges, and I love them. However, I've discovered something else that I am liking much more. These are very budget friendly and gentle though, so I definitely do recommend trying one out.